FORGET: about 5-pin relays and complicated custom wiring! 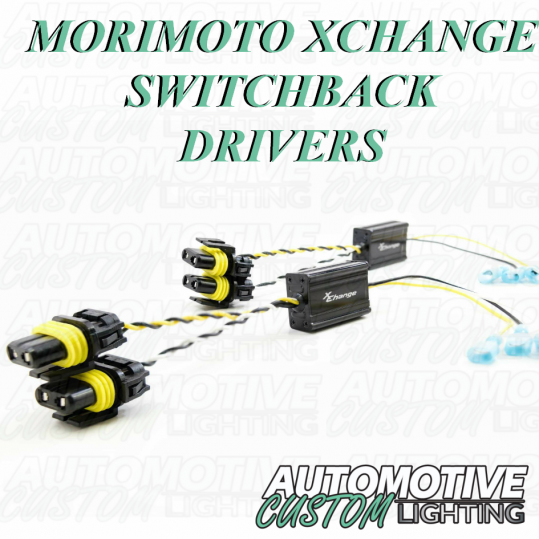 Morimoto makes it easy with the new XChange drivers that allow users to easily achieve “daytime running light” or “switchback” functionality for any accessories operating on 12V. DAYTIME RUNNING LIGHTS: Simply connect the [9006 female] DRL-output to your Angel Eyes, LED DRLs, (or whatever else you want). Then feed a constant 12V into the white/black wires and tap into your low beam circuit with the yellow input wire. When the car turns on, so will your DRL’s. When you turn the headlights on, the DRL’s will automatically shut off. SWITCHBACK FUNCTION: Connect the white/black output to your white angel eyes. Connect the yellow/black output to your amber angel eyes. 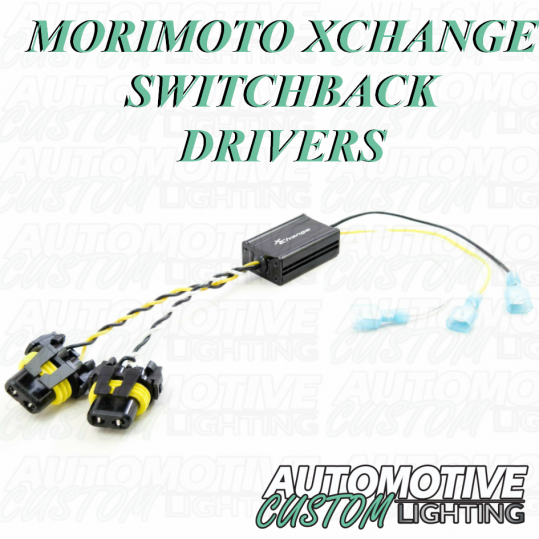 Connect the white/black input a 12V constant, and the yellow/black input to your blinker circuit. With the car running, the white angel eyes will be on. When the blinker starts, the white angel eyes turn off and the amber will start blinking. When the blinker stops, the white angel eyes will automatically turn back on. UNIVERSAL: Despite the examples above, these have a wide variety of uses, from angel eyes, to LED strips, to daytime running lights, to fog lights. 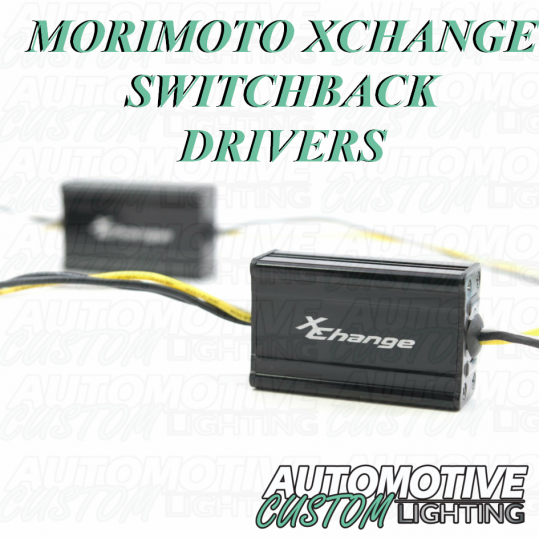 Anything that runs on a 12V input can conceivably be used with the XChange drivers. QUALITY: Housed inside of an attractive black extruded aluminum housing; the circuit board is covered in conformal coating to protect from moisture damage. Each output is setup with a sealed 9006 Female connector to keep the connections from corroding.